Home » How to make » How to attach at triple flip grip to a hair clip. » How to attach at triple flip grip to a hair clip. 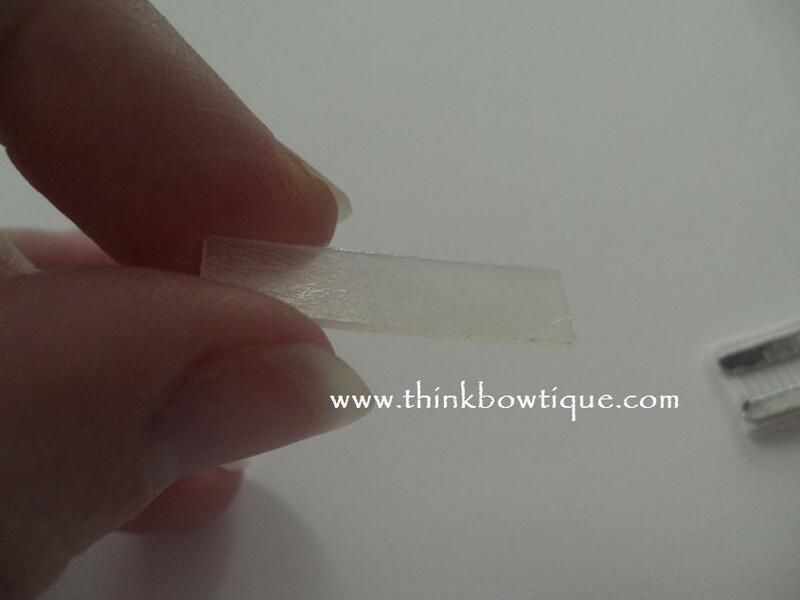 Peel off one triple flip grip strip and stick down on your lined alligator hair clip. Give it a little rub to stick down firmly. Now peel off the clear protective layer. 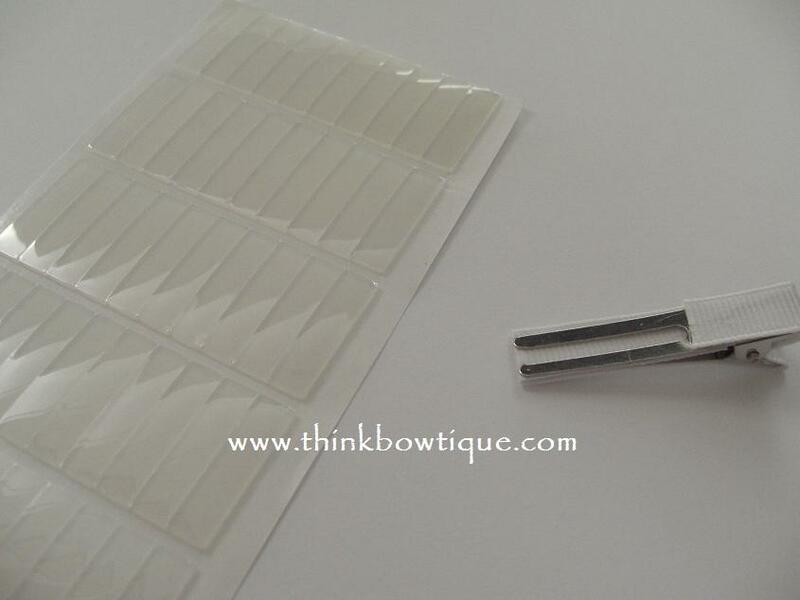 Your now ready to embellish your alligator hair clip. Your grip will keep the hair clip firmly in the hair all day. Thank you for reading my tutorial if you wish to share this tutorial please share a link to our page. Do not copy our photos or tutorial as your own. Triple flip grips are a must for all hair clips. Never again will you have to worry about hair clips slipping out of even the finest of hair. You can buy Triple flip grips at Think Bowtique along with lined hair clips. 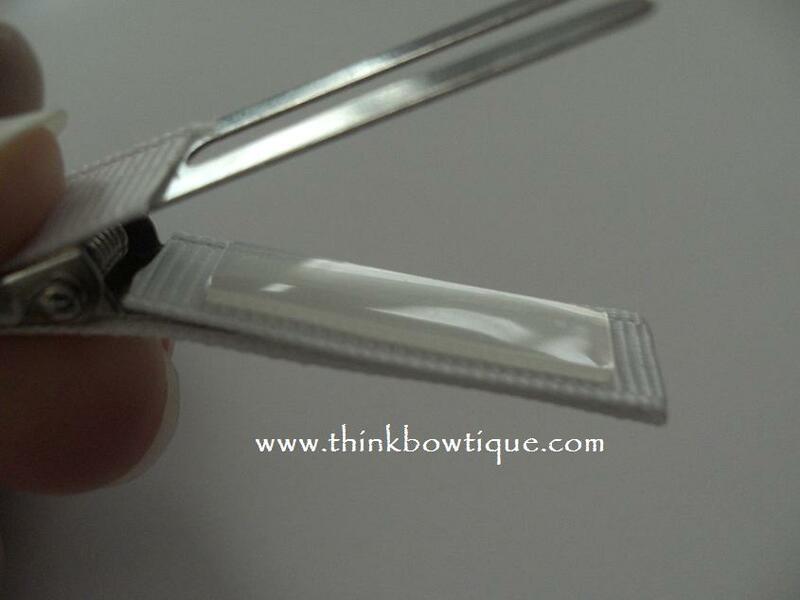 If you like to line your own hair clips you can find both single and double prong clips at Think Bowtique. 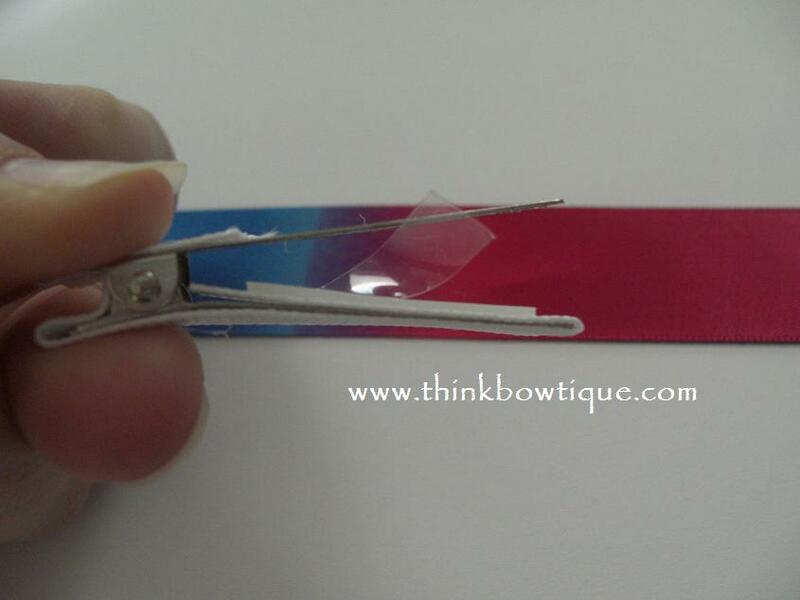 Along with grosgrain ribbon in every colour of the rainbow to line your clips. ← Headband making supplies in Australia.